Transitioning between seasons requires a little work to be put into a wardrobe to get the balance right. I find transitioning from summer to autumn trickier than winter to spring or spring to summer, and in the past I’ve always experienced a rocky patch where my outfits don’t quite match up to the seasonal changes. That was until I made room in my wardrobe for a handful of transitional pieces that make the process a whole lot easier to handle. Switching out a floaty skirt with a wool alternative means all the comfort and style of summer without compromising on warmth. I’m not quite prepared to switch unfussy summer outfits for layered combinations just yet. 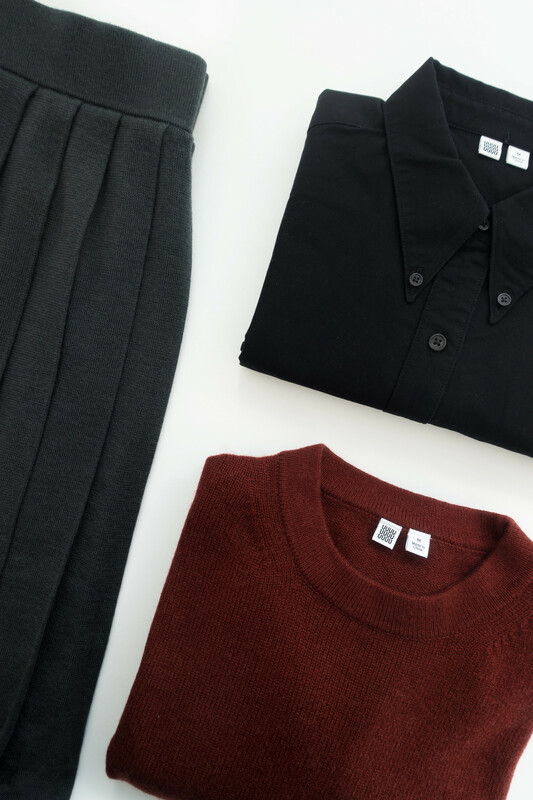 This new addition of a Uniqlo Merino Wool Blend Pleated Skirt* into my wardrobe has lent itself to providing more warmth as the days cool with no extra effort of layering and a hint of colour as I try to expand my palette. I like to pair it with a sleek, close-fitting, high necked top - my favourite is this one* by Woron; the skirt hits the middle of the calf and features classic pleats with an elastic waistband for that snug, comfortable feeling fit and a “put together” look. A thick coat in winter is an absolute must but not before you’re ready for it; the addition of a coat can knock an outfit’s balance completely off kilter and I’m reluctant to wear one unless it’s absolutely necessary. In autumn, a lightweight alternative is useful for layering without the fear of additional bulk and my preference is for something like the Elizabeth Suzann Ida Trench* which has become the jewel in my current wardrobe. Made from heavyweight cotton canvas described as “workhorse fabric,” this jacket has a sturdy, structured appearance; even though it’s slightly oversized it flows beautiful about the body with a rumpled and worn look that remains effortlessly chic. It’s unfussy yet sharp and simply perfect for that tumultuous period between summer and autumn. A solid crew neck sweater will save you on those where it’s too cold not to layer up. Having a well stocked collection of knitwear in your wardrobe is essential for bearing the brunt of the changing seasons. Another piece to push the boundaries of my colour palette, this Uniqlo Cashmere Blend Crew Neck Sweater* in a deep burnt red shade has become my go-to layering piece on cold autumn days. When I don’t want to compromise on the rest of my outfit, I throw on this sweater to keep warm without ruining my look. It has a slouchy fit that allows for a more casual appearance without feeling sloppy; it’s chunky without being overbearing, and has a luxuriously soft texture to keep you cosy and toasty. In hotter climates everything from clothing to accessories becomes lighter and streamlined, it's too hot to get playful with jewellery and layering isn't an option. When the temperature starts to cool it's time to break out the jewellery collection and start layering up those pieces for a more polished appearance. 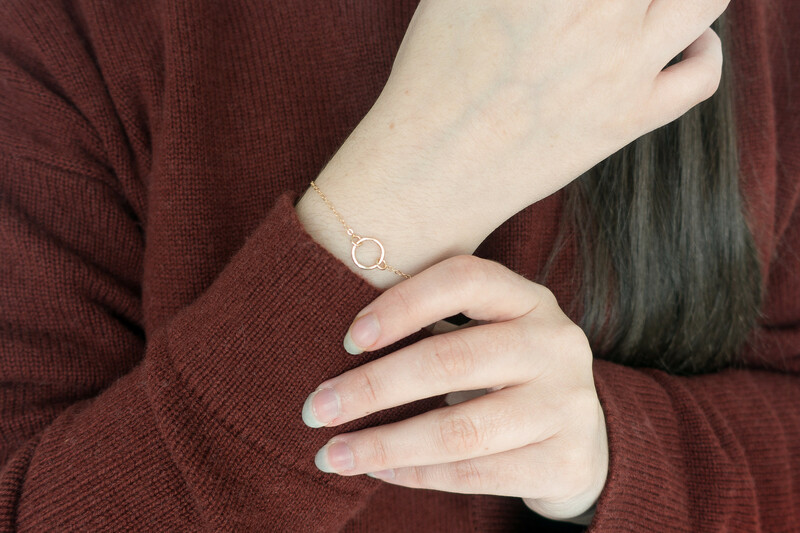 Jewellery is where my wardrobe likes to shine with minimalist pieces to add a little something special to a look. Right now I'm enjoying layering classic bracelets and I haven't taken my pair of gold stud earrings out since I got them. Two of my favourite necklaces to pair together is the minimal square drop necklace and tube necklace - classic minimalism at its finest. Gone are the days where throwing on a pair of sandals was appropriate; my Birkenstocks have been relegated to the back of the wardrobe in favour of something more study and a little more cold weather appropriate. A pair of slimline boots or classic shoes make for a solid choice all year around, especially in autumn when you need a little more structure and reliability. 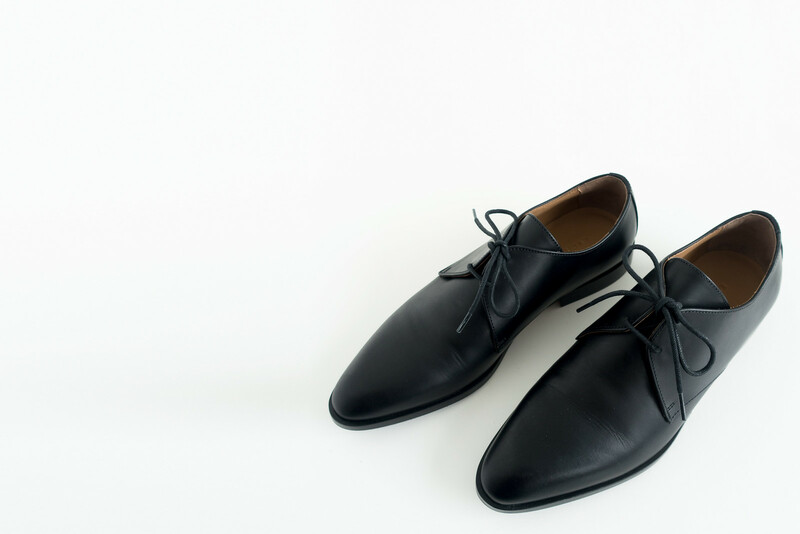 I’m opting for these modern oxfords by Everlane, new to my wardrobe and already a firm favourite for the coming months; structured with a slightly pointed toe and raised heel, these shoes need a little breaking in to get them just right but they work in any situation and for any occasion. Before the weather gets too blustery, now is the time to add a classic accessory to your wardrobe; a simple black hat can really add that extra something to your outfit. I’ve only recently acquired a hat for my wardrobe, the Becksöndergaard Hancock* is a classic staple that I would argue looks good on anyone. It has an elegant, structured shape with belt strap, and flexible brim to keep the glare of the sun out of your eyes. Just like coats can add extra bulk to an outfit so too can heavy wool scarves, opting for a pretty streamlined alternative in the form of a silk scarf is a solution to warding off the autumn chill without drowning your outfit. I have an eclectic mix of vintage scarves picked up in charity shops that I like to wear as an additional accessory in cooler months; I’m not keen on real silk so I opt for buying second hand. There are plenty of options available but I recommend vintage options to add unique one-of-a-kind pieces to your outfits. It’s also a fun way to add colour to your wardrobe in a subtle manner if, like me, you tend to stick to neutral tones and monochrome shades.